RWC offers new membership applicants a limited-time offer. In response to favorable feedback regarding its recently launched membership drive, Residential Warranty Company, LLC (RWC) - an innovator in the warranty industry and the nation’s leading new home warranty provider - is happy to announce that it’s extending the length of this limited-time offer. Now through May 31st, 2014, RWC and affiliates (HOME of Texas and MHWC) are waiving the $295 registration fee for all New Membership Applicants. To receive this offer, simply visit RWC’s new online membership application and register. Homeowner references, supplier references, and inspector references are not required, making it easier than ever to become a member and access RWC’s unparalleled home warranty programs. 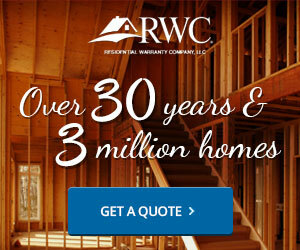 Membership in RWC or one of its affiliates comes chock-full of exclusive benefits and sensible home warranty options. To receive the advantages of RWC membership, register today through May 31st, 2014 for free.